At the beginning of the 1990s there was a great need for a national centre for people with multiple limb disabilities. The reason for this goes back to the beginning of the 1960s, when the thalidomide disaster struck. In order to help the thalidomide-affected children, many of who had serious multiple deficiencies of their limbs, their care was concentrated at Eugeniahemmet at Karolinska Sjukhuset in Solna. Their experience and knowledge about thalidomide effects and about multiple limb injuries were collected for almost two decades. At the end of the 1970s this specialised care was decentralised, and the fund of knowledge that had been built up was dispersed or even disappeared. 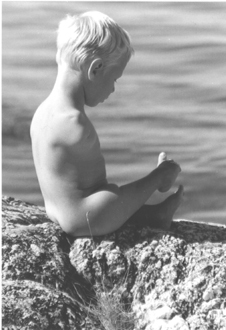 In 1993 the Red Cross Hospital and the Swedish Thalidomide Society started a joint project called EX-Center. Its purpose was to help people all over Sweden with multiple functional disabilities, and to prevent the accumulated knowledge from Eugeniahemmet from being lost. EX-Center has been run between January 1, 2014 and August 31, 2018 by Bräcke Diakoni and the Swedish Thalidomide Society. After a procurement in the Stockholm County Counsil, the Swedish Thalidomide Society run EX-Center together with Aktiv Ortopedteknik in Stockholm AB.